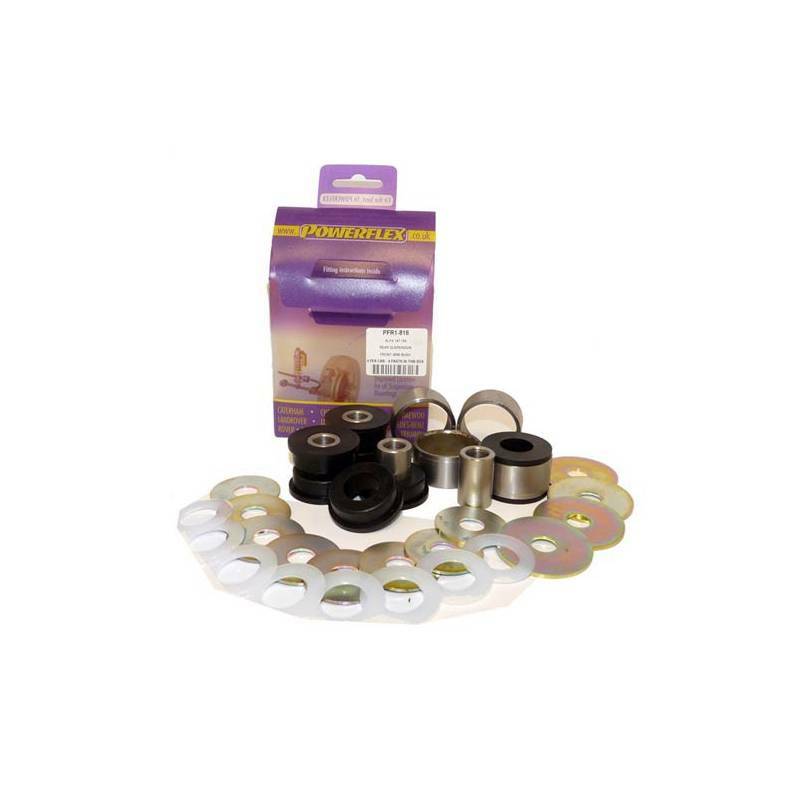 FITTING INSTRUCTIONS FOR PFR1-816, 817, 818 REAR BUSHES These bushes should be fitted with the supplied washers which are to be fitted on the top hat face of the bush. Fit the nylon washer against the bush and the metal washer against the nylon one where applicable. On certain model cars washers may not be required if the bushes are to be mounted between two chassis faces. Always use a washer where there is no plate against the face of the bush. Where not fitted between two chassis faces, use large dia washer on the outside face. 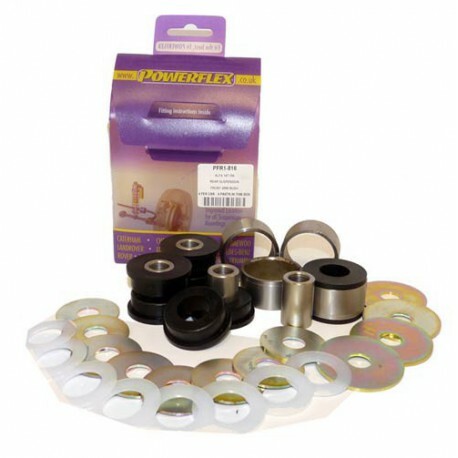 Always check suspension alignment after fitting POWERFLEX bushes.